Another week gone so fast, we hope you have all had a lovely week. We are at the Harrogate Crafting show this weekend and looking forward to seeing you all. Today we are sharing Kath's fabulous card. 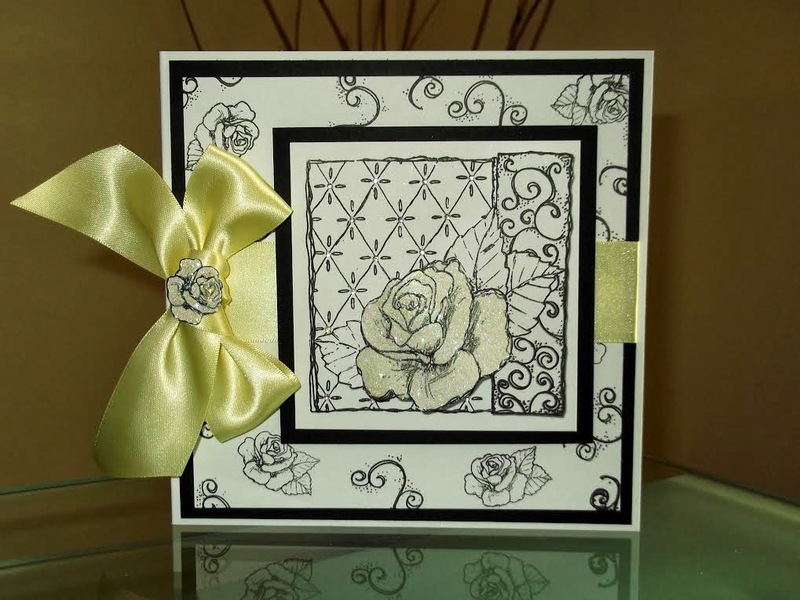 Kath is one of our very talented designers who has designed papers, stamps and stencils. Why not hop on over to our website and see some of her beautiful designs. 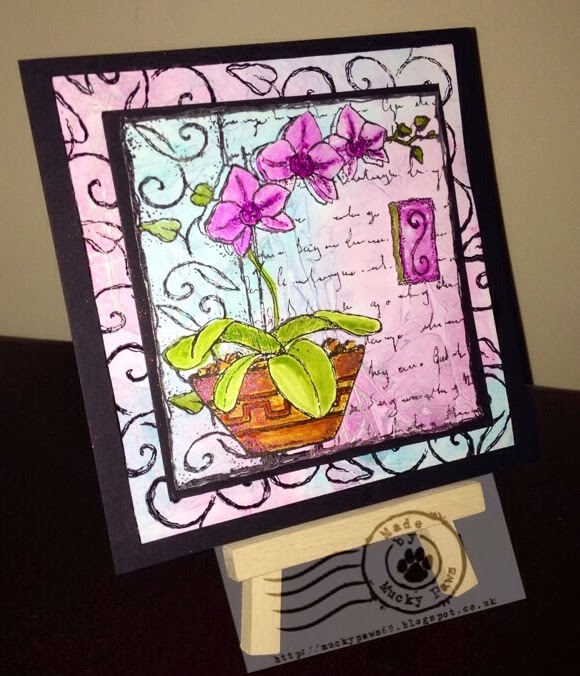 Kath has used the Orchid Decoupage stamp set! Enjoy your weekend and thank you for visiting! How are you all this Wednesday Morning? Today I am sharing with you my own project for the Imagination Crafts Challenge for this month. I decorated a box and added an easel card to the lid. Happy Monday everyone, it is a beautiful day here and we have had lovely weekend. I love roses, don't you? My all time favourite rose is the yellow tea rose! Tonight we are sharing a beautiful card made by Cheremane! 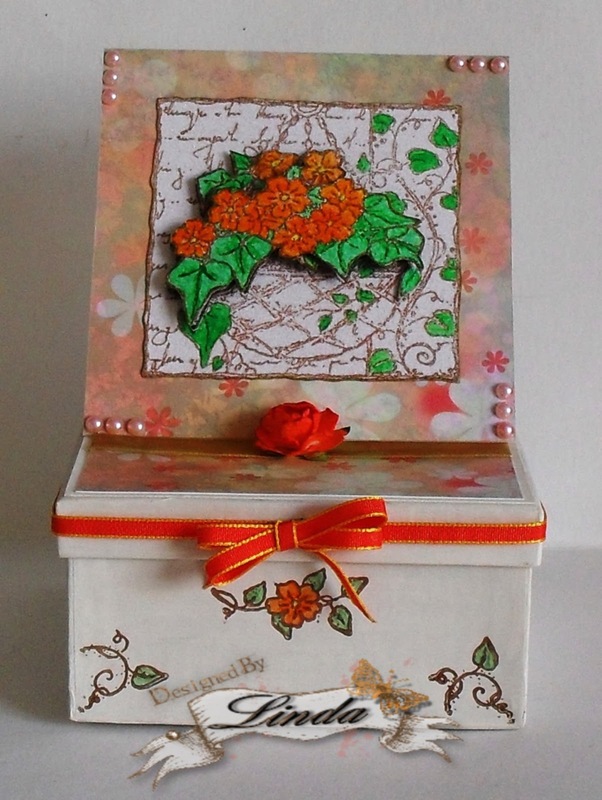 She has used the decoupage rose stamp from Imagination Crafts.